I have a confession to make: I have a soft spot for sappy holiday movies, and thanks to the Hallmark Channel, I can indulge this fondness from November 1 through December 31 each year. Most of the movies follow a pretty set pattern, as you would expect from the genre. Occasionally, they’ve featured movies with dogs, but this year, for the first time that I know of, there’s a movie featuring cats. 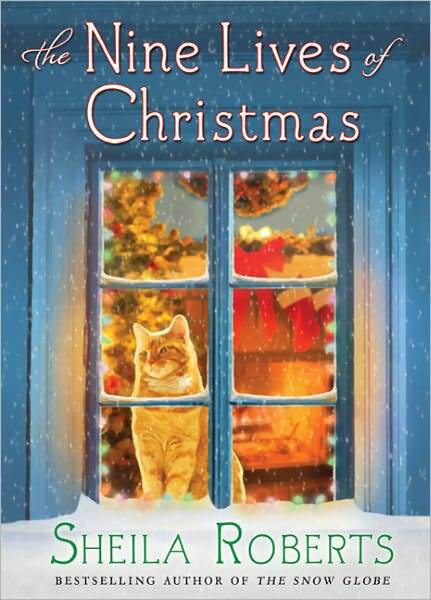 And not just any movie: The Nine Lives of Christmas is based on the book of the same title by Sheila Roberts, which happens to be one of my favorite Christmas cat books. In the book (and can I say how much I love the cover! ), the story is told from Ambrose’s, Zach’s and Merilee’s perspective, and, not surprisingly, I particularly enjoyed Ambrose’s sections. I also loved the suggestion that he had encountered some of the people he meets in this ninth life in some of his prior lives. I found myself rooting for Ambrose as he uses all his feline powers to bring Zach and Merilee together. I’m often leery about watching movies based on favorite books, and I’m curious to see how Hallmark will handle presenting parts of the story from Ambrose’s point of view, or whether they even will. But regardless of how they do it, I’m really looking forward to this movie. 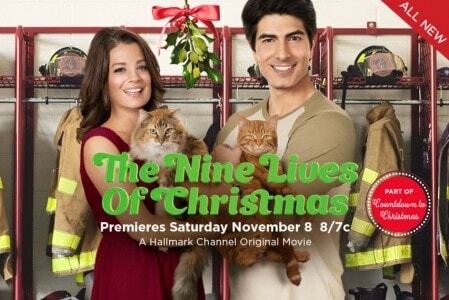 The Nine Lives of Christmas premieres on the Hallmark Channel on Saturday, November 8. Check local listings for air times. For more information about the movie, visit the Hallmark Channel website. I have been slowly making my way through your site and I had to, in mid April, go find this movie (I found it on youtube) and watch it. It might have been sappy, but it had cats (the most important criteria) and I am a hopeless romantic besides. I LOVED Ambrose! I will have to check out the book now too. (And it helped me forget Zesty for just a little while) And of course, I watched it with my kitty Topaz on my lap. Isn’t it a wonderful movie? I’m so glad it provided a bit of respite from grieving for you. finally coming out with a kitty movie. We’ve all watched your dog movies for years. It’s a feline delight to watch. I bought a copy the day they came out at Walmart and I highly recommend it. 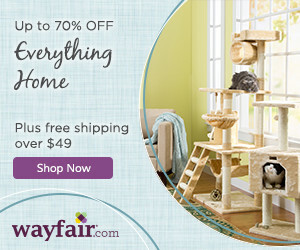 Of course my two kitty room mates loved it also! More kitty movies please! We purrrr for them. It is wonderful, isn’t it, Roxie. Thanks so much for posting about Happy. 🙂 It is nice to know about his background. I wonder now about the cat that played Queenie. Anyone know anything about her? So it was happy the cat? I can not tell you how happy I am you posted this! I didn’t know about the movie but I LOVED the book. I read it last year after your post on the book. I loved reading the parts of the book from Ambrose point of view. I doubt the movie will be as good but since I am a sucker for the sappy Christmas movies too I doubt it will matter. I can’t wait to see this one. I will have to read the book too. I have not yet. I’m really looking forward to this too 🙂 It’s about time cats got their own movies! I’m SO looking forward to this movie. I adore Hallmark movies, always happy endings and it’s a nice escape for a few hours. I’ll be snuggled on the couch with my furry gang & a glass of wine watching this movie.